Our website is currently undergoing a major refit. Let's face it- it had to! My first attempt was functional and somewhat cute, if not spectacular. So now we've got the professionals in - Yellow Spade Design. They helped us create our stylish bottle labels, flyers and gift pack designs, so it is very apt and nice of them to take up the mantle of designing our web pages for us. An example of Yellow Spade Design's fabulous work for us! So please be patient whilst we undergo this work. You can follow this blog for the latest news. Our Twitter feed now links into this blog rather than the website. as well as at our other outlets around the UK. In March - Moths, Migration and Masterchef! As Nick Cave is misquoted as saying...... "Release the Moths!" 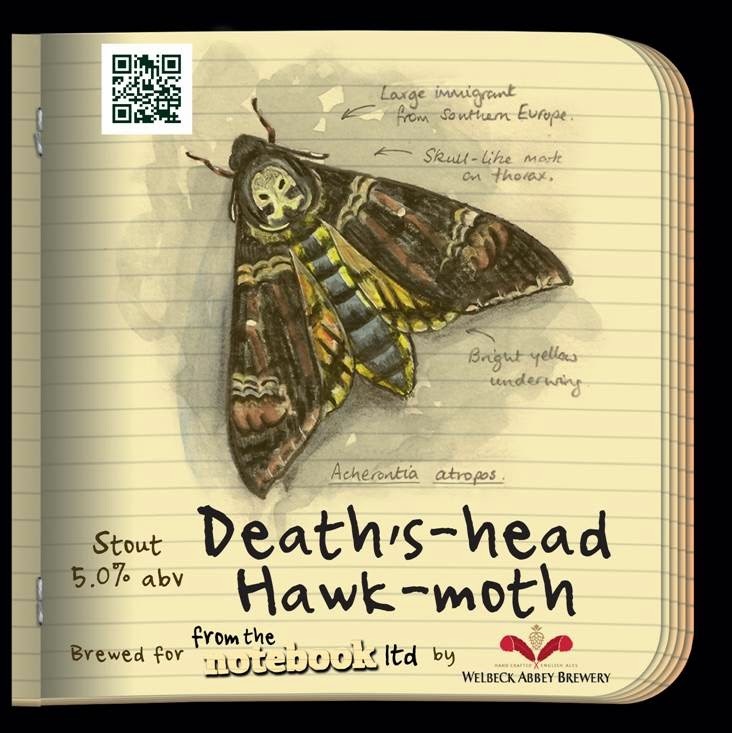 Our first Moth Beer - again supporting Butterfly Conservation was released in March: the spookily named Death's-head Hawk-moth Stout. This represented our first brewing collaboration in Nottinghamshire with the lovely people at Welbeck Abbey Brewery. My good self and head Brewster Claire Monk put our heads together to create a fantastic new beer. As befitting the characteristics of this moth, this beer could only be a Stout. Needless to say all parties are really pleased with the outcome. The beer itself is very well rounded and more easy drinking than a 5% abv stout should ever be. With no bitter after-taste and a little smokiness on the end, it really is a fabulous drink. What was also great about the release of this beer was the fact that half of the brew batch was casked and distributed by Welbeck Abbey to their publican customers, so that the multitudes could enjoy the Death's-head on draft. Also, I am reliably informed by Claire that one cask went to a small beer festival, where it won best beer! An amazing debut. Personally, I sampled some gravity fed DHHM at the newly-opened The Star Inn in Beeston, where it was spot on. Thanks Gilly! Peck, peck, peck! Look out, there's an Arctic Tern about. 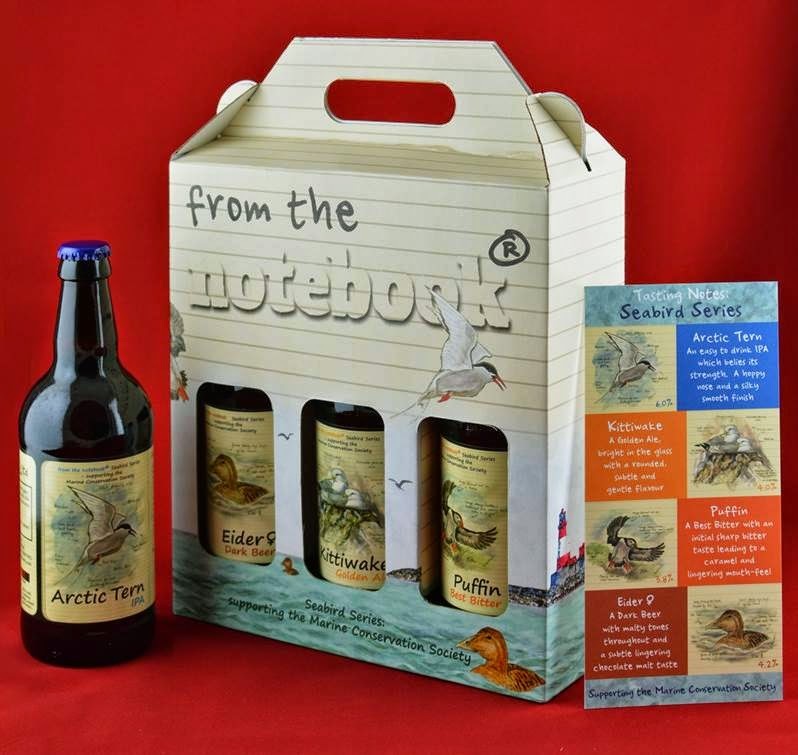 Many of our Seabird IPA's have forsaken their normal breeding grounds in Northumberland and headed for Lincolnshire. An initial pilot run in conjunction with Small Beer Ltd saw the delivery of a number of Firkins (9 gallons or 72 pints) to a their brief roosting positions at Small Beer, before embarking on a Nationwide trek to pubs in the UK. They didn't have much respite, since all were sold out within 2 days. I think this beautiful beer, reflective of a beautiful bird, is going to be popular! Hopefully we can supply Small Beer with some more soon. 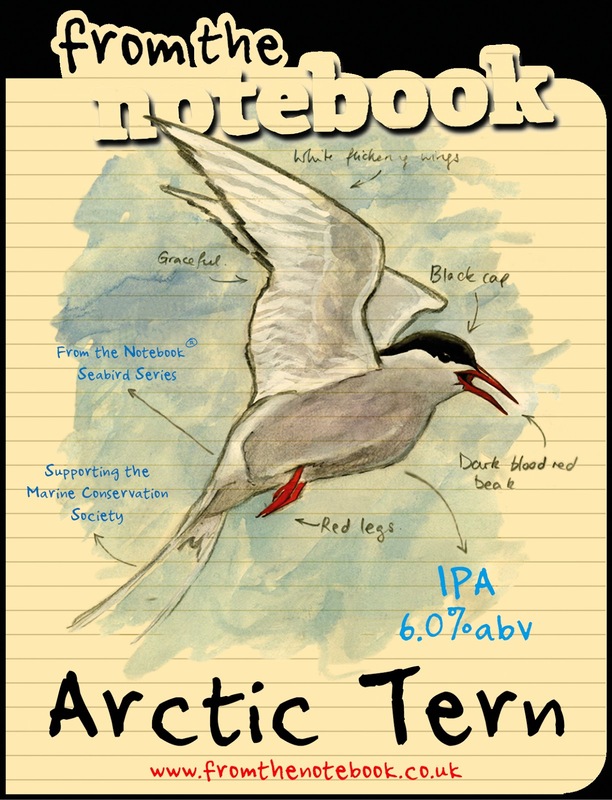 The release of the Arctic Terns into the wild was accompanied by the concurrent release of the new branding for our pump clip. Here we have majored on prominently sporting the "From the Notebook" wording at the top of the pump clip, pasted onto a notebook background. We hope that people will like it and become familiar with it and its new distinctive shape. Masterchef: Beer in Food - It's the Future! 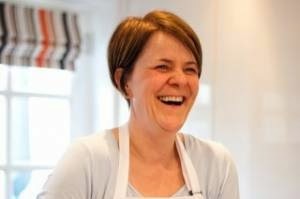 Recently, we have been working with professional (and we think Master)chef Kirsty Cruickshank to create a number of recipes using both sustainable sources of Fish AND our Seabird Series of Beers supporting the Marine Conservation Society. We think this is an ideal combination of ideals! Have a look at her website, For the Love of Fish - its faboo!!! It's just when she cooks, she gets thirsty!